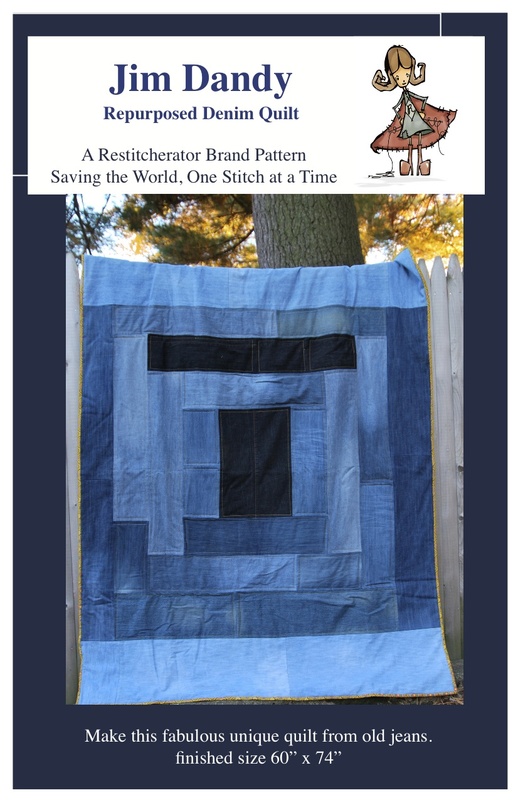 The Restitcherator: My first two quilt patterns - where to find them! 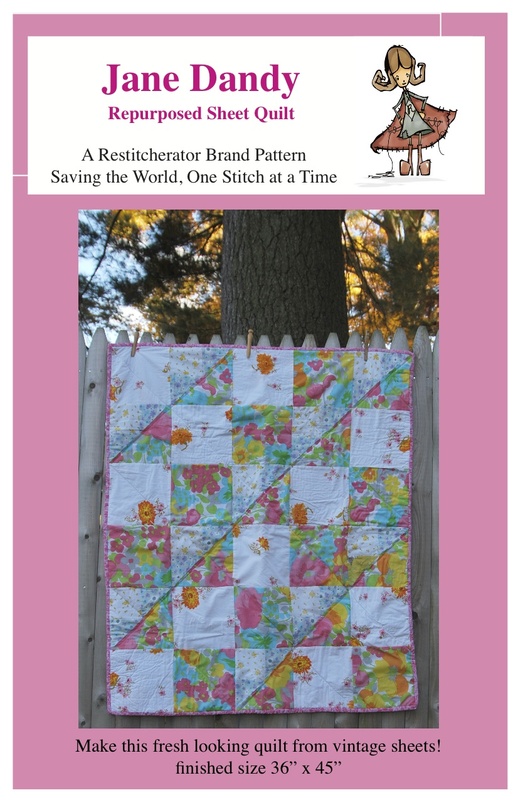 I have been working on these two patterns and the samples for almost a year. I'm sure it's not supposed to take that long, but I am so very happy to finally have them to show you! 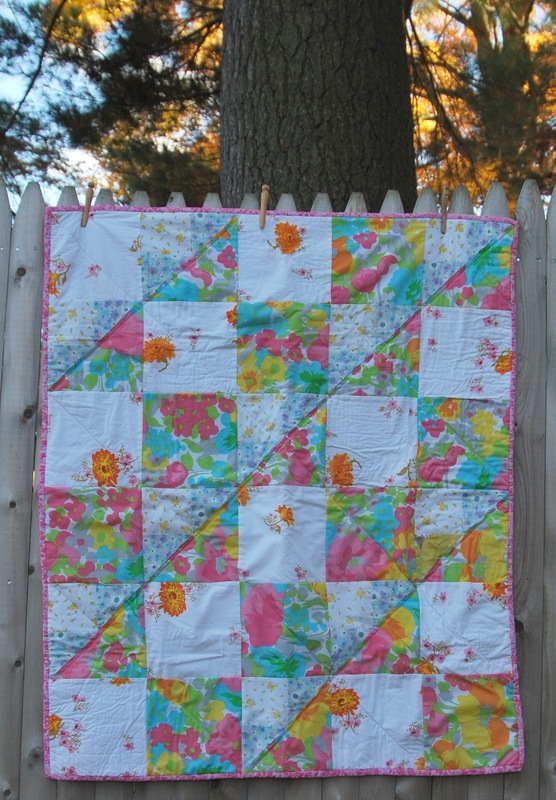 The first pattern is made using vintage or re-purposed sheets. It's named Jane Dandy, and comes with directions for two sizes, baby and twin. 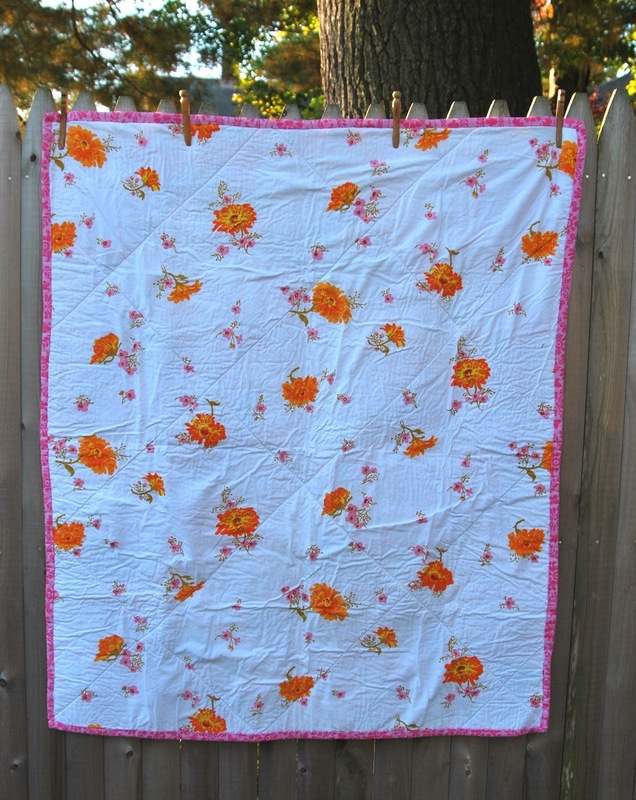 It also comes with fabric requirements in case you want to make it with new fabric. The second pattern is very close to my heart. 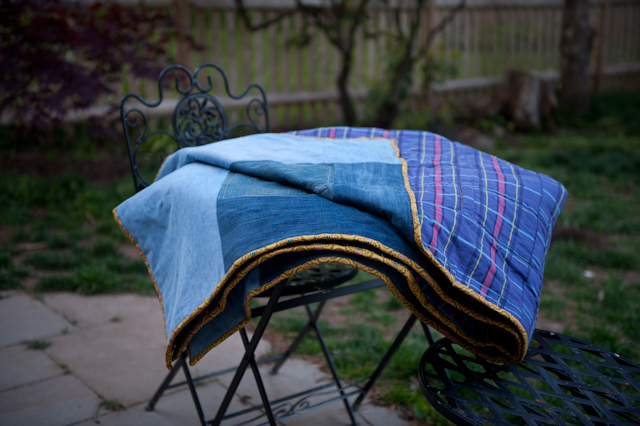 It's made from old jeans, and I am just so thrilled with the way it came out. 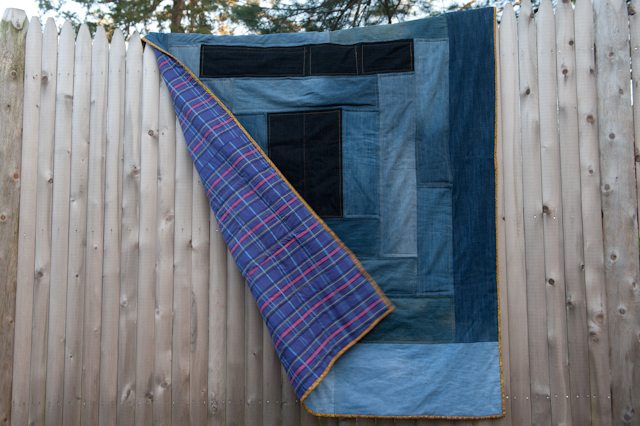 I used at least 15 pairs of jeans, so that I could incorporate lots of different colors, and lots of friends contributed their old jeans to the cause! 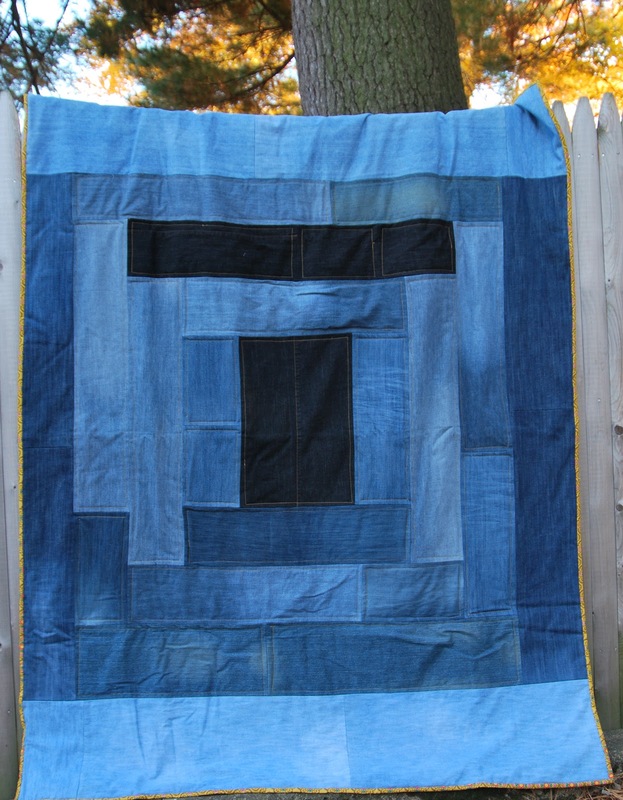 The directions are for having a quilt that comes out just like the cover, but you can, of course, use the directions as a guide and make your own, one of a kind quilt. If I get a good response, or requests for it, I will have them printed. Right now they are in the form of PDF downloads. While I love PDFs, and have purchased many patterns that way, I know some people still prefer printed patterns. I am so happy to share this exciting news with you!